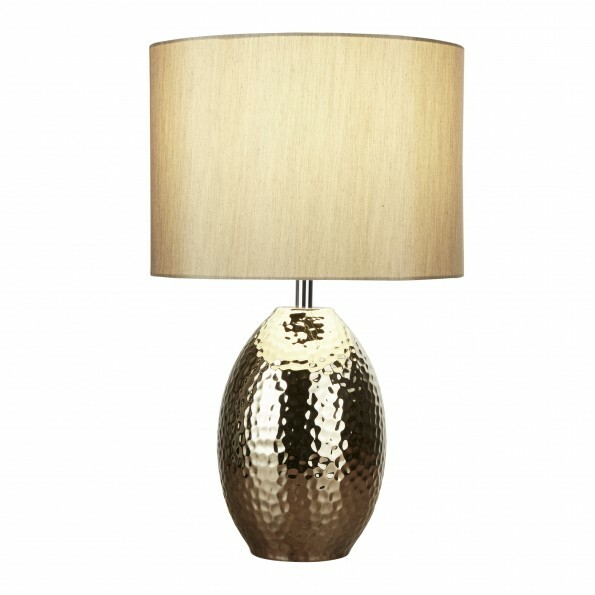 Go for gold with this table lamp, which will bring a touch of opulence to your home. It has a wonderful mix of textures; featuring a faux silk gold shade and a rounded body with a hammered effect for a stylish finish. Position in a chic and modern bedroom, living or dining room.